​There is a great deal of misinformation surrounding the proposed amendment to the Mid-Michigan District Health Department (MMDHD) Environmental Health Regulations. Although often referred to as a new septic system ordinance, this is not a new law or ordinance. It is a proposed amendment to the existing Environmental Health Regulations, the laws governing water supply, sewage disposal, refuse disposal, and housing. Click here to read the existing Environmental Health Regulations. Over the past two months the MMDHD has hosted two public meetings (one in Gratiot County and one in Montcalm County) to allow the citizens of the community a chance to ask questions and become informed about the details of the proposed amendment. Click here to read the proposed amendment to the Environmental Health Regulations. Because misinformation has been so widely disseminated, audience members have arrived at these meetings angry and pointing fingers. The problem is, they’re pointing fingers at the wrong people, making false claims based on secondary sources, and making assumptions about what they think is happening with this proposed amendment. At the public meetings, community members have been given the chance to ask questions of the health department employees and water quality management committee, expecting them to know the answers off the top of their heads. Remembering the exact details of a 35-page health code regulation, and how the three-page amendment tweaks the existing regulations, is asking too much of anyone. So the employees and committee members try to give generalized answers to appease one question while three other people are shouting other questions. Within a few days after the most recent public meeting social media posts have gone viral claiming the panel was unwilling to listen to the concerns of community members, were deflecting answers, making claims at the first meeting and changing their answers at the second meeting. Social media posts have even gone so far as to say that the health department is not trying to mitigate contamination, but rather is trying to establish a new source of revenue. Nothing could be further from the truth. Recent water quality studies have shown an alarming level of E. coli. in our local streams. The reports of these studies are currently being compiled and should be available by February of 2019. The sad truth of the matter is that if the public realized how much E. coli. is in our water, they would be demanding the health department do something about it. 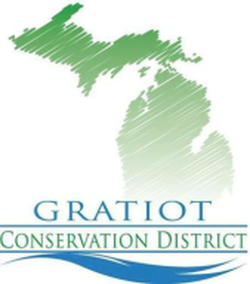 We at the Gratiot and Clinton Conservation Districts are trying to put together a few pages of information so that the public can understand what the problem is, what we think could be done to help fix the problem, and how the proposed amendment to the Environmental Health Regulations will help pull the community in the direction of having clean water. Life is not sustainable without clean water. The laws governing pollution are already in place. That is not changing. People are not legally allowed to pollute the water with sewage from their homes. If an existing system is failing, it needs to be repaired or replaced. If a property has a home but does not have a sewer hook-up or a septic system, one needs to be installed. There are many sources of information already available on the Mid-Michigan District Health Department’s website including a report titled Failing Septic Systems in Mid-Michigan: An Unseen Threat to Public Health which details results of a study conducted by the Mid-Michigan Water Quality Management Committee. Also on the website is a draft of the proposed amendment, and the existing Environmental Health Regulations. In the winter of 2015-2016, the Gratiot Conservation District (GCD) secured a grant from the Saginaw Bay Watershed Initiative Network (WIN) with match funding from the City of Alma and partnerships with the Mid-Michigan District Health Department (MMDHD) and the Gratiot County Community Foundation to conduct a study in the Upper Pine River Watershed identifying properties that were at high risk for contaminating the rivers, streams, and ground water in that geographic area. With the funding provided, the GCD distributed a targeted mailing to properties chosen from a database compiled by the MMDHD. The MMDHD was charged with the task of digitizing paper records where they documented locations known to have a house or structure on the property. One of the database fields they recorded was the date on which a septic permit had been filed with the health department. Of the 1,000 properties evaluated, 300 did not have a permit for a septic system ever, or within the time period starting 1970 through date of the study. Those 300 property owners were mailed a brochure with education about septic systems and a request to respond to help update the outdated records. Of those 300, a total of 32 landowners responded to report the current state of their property. This data is a scientific representation of the current state of conditions of septic systems within the watershed, and will be utilized to pursue future programs and grants. Gratiot Conservation District Administrator Julie Spencer had the opportunity to speak at the first annual State of the Bay Conference in Bay City in September 2017 sharing details about the septic program and its results. Update: Julie was also invited to travel to the Southwest side of the State of Michigan to speak on progressive work on septic systems at a conference of The Conservation Fund in July 2018. Update: The Clinton Conservation District was able to pull funding from an Upper Maple River Watershed Management Implementation grant to conduct this same study for the entire three-county Mid-Michigan District Health Department. That database should be complete sometime in 2019. What is a Wellhead Protection Program? This is a program designed to help communities manage and protect the area around the municipal drinking water wells. One of the first steps is to establish a team of people involved in groundwater protection. For example, managers, water superintendent, zoning administrators, teachers, fire department officials, business leaders, farmers and residents. Gratiot Conservation District Administrator, Julie Spencer was asked to participate on the City of Ithaca Wellhead Protection program grant committee. While in attendance, Julie was informed the GCD would be awarded a portion of the education funds in the form of an Enviroscape Watershed Model and a groundwater model. This is a project for which the GCD has requested funding from a variety of sources in the past and were rejected. The models have already been delivered and put to good use. The groundwater protection team will work with a consulting firm to conduct a contaminant source inventory of known and potential sites of contamination. This will be used as a guideline to develop a management strategy to reduce the risk of contamination, develop a contingency plan in case of a water emergency, plan for new wells if necessary, and educate the public about drinking water protection.